SPS simply makes property marketing easy - and automated - for anyone! Free-View™ is a free feature within every SPS account that helps you impress sellers and win more listings. - all you need is an account! 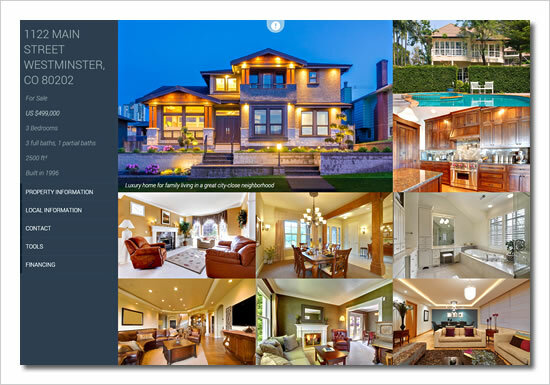 Showcase the Seller's home with a customized property website before your listing appointment. See what you could create in just a few minutes. Sellers love to see their home with its own website. .. it's all there, for free, to help you win the listing. Download our Free-View™ listing kit, which includes sample listing presentation and listing flyers for you. Help is shown on every page along with extra tutorials and support materials if needed. After you win the listing, a paid membership will then ensure Buyers see your listing first. SPS will automatically give all your listings maximum exposure to Buyers with minimum effort: Online, mobile, offline and curbside. Nearly all tasks are automated. Print-quality flyers are automatically generated and our tools make posting to Craigslist a breeze. Automated marketing will give your Listings maximum exposure to Buyers with minimum effort. SPS Property Marketing includes 1-800 and/or SMS TEXT with IVR for call- and lead-capture, QR Code generation, all of which, along with a domain name, can be used in any of your marketing. All these options can also be applied to Sign Riders too. SPS makes it easy and automatic for you to engage with the mobile buyer. Share and post property details to your Social profiles. Post beautiful HTML flyers to your Active Rain or WordPress blog. Put ALL your listing data on every other website! 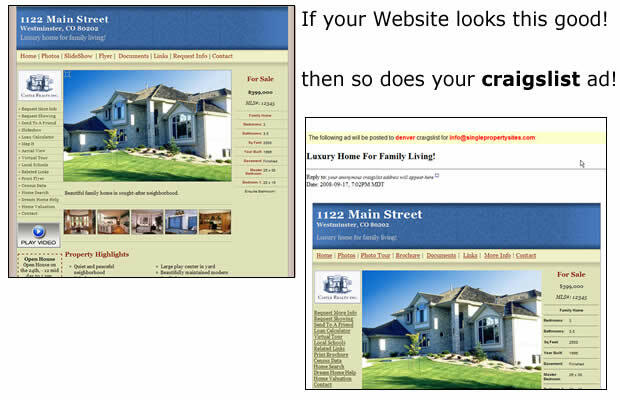 Each Single Property Website has multiple lead capture methods built in! When inquiries come in, you will sent SMS TEXT and an email - and all leads are tracked too. Now See How It Works.